Way back in 2010 we did a 2 part series detailing everything you needed to know about choosing a sublimation paper. Eight years later (doesn’t time just fly) it seemed like a good idea to summarize some of what was in that series in an effort to help a new group of sublimation printers make their paper choices. The original posts are still very relevant and worth reading in full, so if you’re inclined, please take a moment to read Part 1 and Part 2. If you’re short on time, this summary will give you the basics. High Release paper typically requires less time to press to release the majority of the ink onto the substrate. This type of paper tends to work well for soft goods and may provide slightly superior color transfer. One of the main issues with this paper may be smearing, as high release paper tends not to dry quickly. You may also experience “blow out” on hard goods like ceramic tiles of FRP key chains, as the dye may be released so quickly that the harder materials can’t absorb it fast enough. High release paper may also be more prone to curling, printer jams, humidity and other environmental issues. Low or standard release paper is pretty much the opposite of high release paper. It dries quickly, so smearing issues are minimal. This type of paper works very well with hard goods and has little instance of “blow out”. A potential drawback of low release paper is that it takes far more time in a press to draw the dye out. Extensive time in a heat press can cause damage to or yellowing of coatings or fabrics, but shortening the press time could result in colors that are less vibrant than desired. On the positive side, low release paper does tend to be resistant to jams and other environmental factors. Hybrid paper, as the name implies, combines the qualities of both high and low release papers. Some hybrid papers are more on the high release send of the spectrum while other are similar to low release paper. The goal with this type of paper is to capitalize on the good points of both the other types of paper while minimizing the down side. Based on our experience, hybrid papers tend to be the best for all around use on all substrates. If you’re wondering what type of paper Mpres Paper, the sublimation paper that EnMart sells is, it’s a hybrid paper. The time required in a heat press is closer to the high release end of the spectrum, but it mimics the low release papers in it’s capacity for quick drying to eliminate smearing, and the excellent release of color. This is the paper that our parent company, Ensign Emblem uses to create sublimated patches every day. It’s been battle tested and proven worthy and we highly recommend it. Cobra Ink. No name ink from China. Sawgrass Ink. When it comes to sublimation, it seems like there are a lot of choices for the ink that can be used, but that’s a bit misleading. Yes, there are a number of inks that advertise themselves as sublimation ink, but not all of them work the same way in your printer. An ink that isn’t high quality can cause nozzles to clog, print heads to break and designs to print with reds that aren’t red and blacks that look gray. The quality of the ink you use matters, for a couple of reasons. The first is the fact that calling sublimation ink by the name ink is a bit of a misnomer. Sublimation ink is made up of a carrier fluid that carries dye solids. Because of this, sublimation ink has a high viscosity and, at times, more trouble going through standard inkjet print heads. Keep in mind, this is not in all cases. We have countless examples of customers who have printed successfully for years with their Ricoh 3110 or 7700 printers. Still, sublimation ink does have an increased potential to cause problems when used in a standard inkjet printer. One of the reasons that the Virtuoso Printers were created was so they could be designed specifically to meet the special needs of sublimation ink. Another issue that can create problems for sublimation printers is refillable cartridges. When it comes to printer systems, there are generally two types, a closed system and an open system. A closed system is one in which the cartridges are prefilled and installed directly into the printer. In this type of system, there is no opportunity for dust or other contaminants to mix with the ink. By contrast, an open system, one where ink from bottles or bags is poured into refillable cartridges offers the opportunity for air bubbles or contaminants to mix in with the ink. The result can, at worst, be damage to the print head. Those of you reading this, after even a cursory glance at the sublimation section of our website, will probably notice that we carry Sublijet Ink and Virtuoso Printers and may, as a result, conclude everything we’ve said up to now is biased, but you’d be wrong. 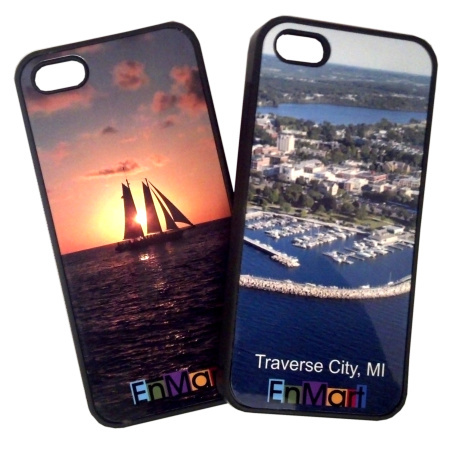 EnMart, or EnMart’s parent company, Ensign Emblem, has been working with inkjet sublimation practically since the process existed. We were instrumental in bringing inkjet sublimation to the industrial laundry and rental uniform community. After years, even decades, of sublimating emblems, and occasionally making mugs and mousepads and shirts, we understand how sublimation works, and we know that the products we sell will provide the best finished goods, because we use them too. A question that often comes up in forums and groups about sublimation is what kind of heat press is necessary. Do you need specialized presses for mugs? How big should the press be? Is a cheap press made in China that you found on eBay going to work? What brand of press do experienced sublimation experts recommend? A heat press is a larger purchase, so it’s easy to understand why there would be a lot of questions. Since we’ve been sublimating and dealing with sublimation supplies (and heat presses) for a lot of years, I thought I’d try to answer some of the questions I see most frequently. Q1: Do you need a specialized press for any good that isn’t flat? For the most part, yes. Hats, mugs, plates, anything that isn’t flat will most likely require a specialized press in order to take a sublimated print. In some cases, where a lot of different items will be sublimated, a combo heat press might be the best option. This type of press is usually a flat swingaway press that comes with attachments that will allow you to do mugs and other goods that aren’t flat. A standalone cap press will have a curved platen that allows you to sublimate caps faster and more easily. Mug presses are generally adjustable and are designed to handle different sizes and shapes of mugs. If you’re planning to sublimate a lot of one particular item, investing in a specialty press can be a wise move. Q2: How big should the press be? What’s the biggest thing you’ll ever be likely to sublimate? The answer to that question will help determine how big your press should be. Keep in mind that smaller presses may have smaller price tags, but they aren’t always suitable for a production environment. When deciding on the size of your press, you should also take into account how often it will be used, and for how long each time. Optional extras like air operated opening should also be considered. They may add to the cost of the press, but they’ll save a ton of wear and tear on the operator. Q3: Is a cheap press worth the money? There are a lot of off brand heat presses from China available on eBay, with prices that can be very attractive when you’re on a budget. Two things to consider before purchasing a press like this are 1) who will service it should it break down and 2)is cheap necessarily going to translate into reliable and accurate? A press from an eBay seller that may have been made in a foreign country is not likely to have maintenance or tech support attached, and that matters. Service for a malfunctioning machine can help extend its life and get you back to work faster. Tech support can help you solve problems and teach you how to use your heat press more efficiently and profitably. A cheap press may also come with a set of reliability and accuracy issues. Temperature gauges may not accurately reflect temperatures. The platens may not heat to the required levels. There are good bargains to be had, and there are people who have purchased off brand presses and had them work fine, but it’s a calculated risk. Q4: What brand of press do experienced sublimation experts recommend? To answer this question, all I can do is tell you what we know, from years of experience. We sell George Knight heat presses, and the reason we sell them is because we’ve used them. Our parent company has six plants across the United States, and all of them have heat presses. George Knight presses have been in our shops, working day in and day out for years. The presses are reliable, easy to use, and George Knight has top notch technical support. So, when asked, George Knight is what we recommend, and not just because we sell them. We’ve used them, so we know how well made and reliable they are. Yes, they may cost a bit more, but they’re worth every penny. If you have a question about sublimation, please feel free to leave a comment here or to contact us and ask. We’ve been working with heat presses and sublimation for quite some time, and we’re always happy to help. The holidays are coming, and one thing that is always true about the holidays is that people love personalized gifts. EnMart has added some great new sublimation blanks to our offerings this year. We’re sure one of these new items will make the perfect gift for someone on your gift list! Belt Buckles – Our belt buckles can be easily personalized with sublimation. The sublimation insert is large enough that the image can be clearly seen, but not so large that it looks like the gift recipient is wearing a championship belt of some kind. All buckles are made of brass and accompanied by a sublimatable insert. State Ornaments – While we don’t yet carry every state, our stock of state ornaments is growing. Celebrate the sun with an ornament in the shape of Alabama or California or Florida. Show your midwest roots and display an ornament in the shape of Illinois or Michigan. Create ornaments to celebrate a favorite vacation spot or to commemorate a hometown that may now be far away. Keep in mind, this item can also be used as a luggage tag or a souvenir. Pendants – A personalized necklace is something anyone who wears necklaces would be sure to love. Available as both a square and a round, these pendants have patterned embossed back and are recessed to accept an aluminum sublimation insert. Sublimate a family picture, a favorite saying, or simply an intriguing design to create a one of a kind piece that is sure to be treasured. Pet Tags – Don’t forget Fido or Fifi when handing out the gift wrapped packages this year. Sublimatable pet tags are a great way to identify your pet and give them a bit of style. Our pet tags are aluminum and can be printed on both sides. These tags are also great options for key fobs, luggage tags, zipper pulls or necklaces. Sublimated patches can be a great way to present artwork that may have traits that would not allow it to render well in another decoration discipline. Gradients and fades don’t work well with embroidery. Tiny details may not show up as well on a screen printed emblem. Sublimation offers photographic detail and the ability to play with color, all at a price that is easily within most shops’ budgets. Many shops will elect to create sublimate patches themselves. For those that have a sublimation system and access to blank patches, this may seem like the easiest route to take, but that isn’t always the case. EnMart can create custom blank patches at very reasonable prices, relieving a shop’s burden of production and freeing up time for other revenue generating activities. If you’ve never ordered a sublimated patch from EnMart, it’s really quite easy to do. Go to the sublimated patch section. Select the shape for your patch. Select your merrow color (this should harmonize with the colors in the artwork) and the number of patches you wish to order (minimum order is 25). E-mail artwork to design@myenmart.com. Make sure to include your order number in the subject line. It’s that simple. Creating sublimated patches will take a few days at most, depending on the size of the order. If your shop sells patches, but doesn’t have the ability to sublimate them, or if your shop sublimates patches in house, but could use the time to do other things, order your sublimated patches from EnMart. You’ll save time and money, and your clients will get a quality product they can wear proudly. When most of us think of sublimation – we probably think of coffee mugs or t-shirts, which are great items and which can bring in a nice profit, but which are kind of limiting if that’s all that you do. 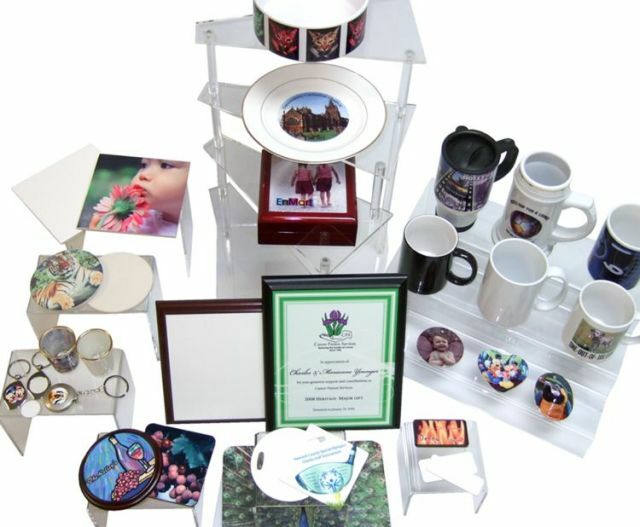 The fun thing about sublimation is that there are a number of products that can be sublimated, some of which can be made into unique gifts or souvenirs. If you’ve been stuck in a coffee mug or corporate polo shirt rut, make 2014 the year that you investigate some additional things you can sublimate. Here are some ideas to help you get started. Many people put time and effort into creating the perfect kitchen, and accent pieces can be the ideal way to complete a decorating scheme. Sublimated cutting boards offer the option of monograms or scenic views, as well as protection for counters and other surfaces. Use sublimated tiles to create a backsplash behind a sink or a border along the edge of a counter. You could also offer unique sublimated place mats that compliment the decor of the room, are easy to clean off, and which protect fragile table linens. These placemats can also double as message boards, so that grocery list is easy to write. Pets are another area where sublimated items can be big sellers. All pet owners want their pet identified in case of loss, so sublimated pet tags can be a great seller. Personalized pet bowls are also a fun idea, and can help separate Fido’s food bowl from Fluffy’s. Another big area of animal related products is patches and decals for service dogs and search and rescue animals. Blank patches which you sublimate can allow you entry into that market. You should also remember not to neglect the gift and souvenir market. Jewelry boxes with scenes from well known landmarks in your area can make great keepsake boxes. Collaborate with local vendors to create boxes that showcase local food items or crafts for a one of a kind souvenir. Puzzles are another great option when it comes to preserving a scenic view. Personalized puzzles are even more fun, offer to put a favorite vacation photo on a puzzle and preserve a memory forever. The main thing to remember is that there are a number of items out there which can be sublimated, your job is to find them and figure out how to sell them to your target market. Money is out there waiting to be made. Why shouldn’t it end up in your bank account?